Samuel Hoffman | The Journal Gazette Dennis Eller leads a classroom of juniors in preparation for the PSAT at Canterbury High School, Wednesday. Last week’s editorial in The Journal Gazette dismissing the positive accomplishments for K-12 education in this year’s legislative session was not unexpected. The editorial board of the JG is easily the most liberal in the state and regularly derides all things Republican, especially when it comes to education. But this particular editorial was so far off base that I felt the need to respond. I share the same goals with all Hoosiers: we want the best possible education for our children. The difference between Republicans and most Democrats in the General Assembly is that we believe in empowering the parent, instead of the government, to make the decision on which school will work best for their child. That is why vouchers are so important; they provide parents of limited means the option to pick the best school for their children. Vouchers also create previously non-existent competition with the public school system. But make no mistake; my colleagues and I strongly support our public schools. This year, we increased funding for K-12 public schools by a historic $474 million. All of our Allen County school districts will see important increases in funding. We also increased career and technical education funding by another $48 million. This money will be used to develop vocational training with local employers to fill a critical skills gap in our region while providing our young people with the path to a well-paid career. Teachers are also winners this year. An additional $10 million was earmarked to provide bonuses to our best-performing teachers. We have also empowered our local school boards to make up to 50 percent of these bonuses a permanent part of the teacher’s base salary. Also, a special income tax credit worth $100 was created for our teachers. Finally, we granted local school boards the ability to give extra pay to teachers who obtain a master’s degree in their area of specialization. The teaching profession is the most important in our society, and providing additional pay is one way we can reward them and say thank you. But we need more teachers. Indiana, like the other 49 states, is facing a future teacher shortage, especially in the areas of science, technology, engineering and math. Senate Bill 566 opens the door to teaching licenses for students with STEM degrees who also obtained a minor in education. 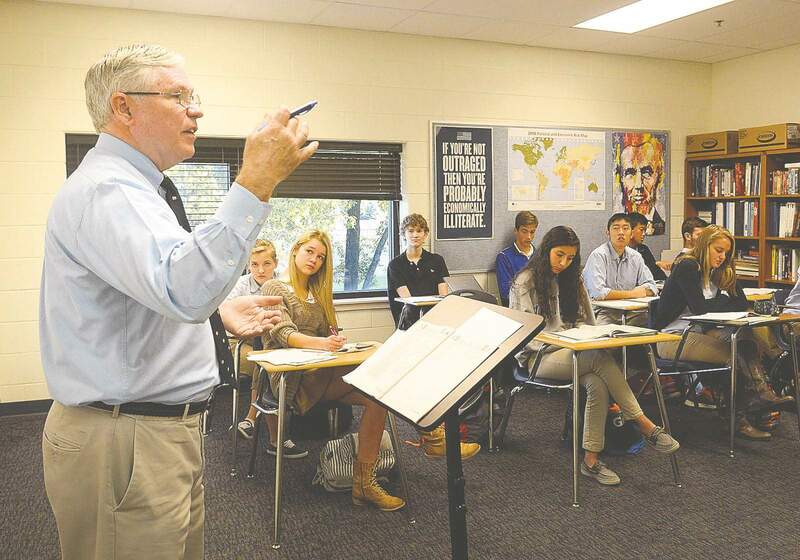 The goal is to attract more Hoosiers with high-demand job skills into the teaching profession. We also cut significant red tape for our schools. SB 500 eliminated more than 50 outdated and/or burdensome regulations that forced schools to spend money on administration instead of teaching. ISTEP+ continues to be plagued with technical problems, as well as being much longer this year. The legislature took aggressive action earlier this year by ordering the Department of Education to knock three hours off the 2015 test. This summer, a blue-ribbon study committee will analyze ways to streamline Indiana’s K-12 testing, with the goal being to shorten the tests and have fewer of them. We are testing our children to death, and this needs to change immediately. We are also giving our public schools more flexibility by creating Innovation Network Schools. School districts that want the flexibility that charter schools enjoy from certain state rules can now create a charter school themselves, inside their own district and with their own staff. This concept is finding great success in Indianapolis’ low- income schools and is a proven way to turn around an underperforming school. There are many more innovative and important changes that have been implemented, but brevity is required here. Suffice it to say that improving our schools so that Hoosier children can receive an outstanding education is the top priority of the state legislature. Their future economic and career success is at stake. We owe each of them our best effort. Sen. David Long, R-Fort Wayne, is president pro tem of the Indiana Senate. He wrote this for The Journal Gazette.